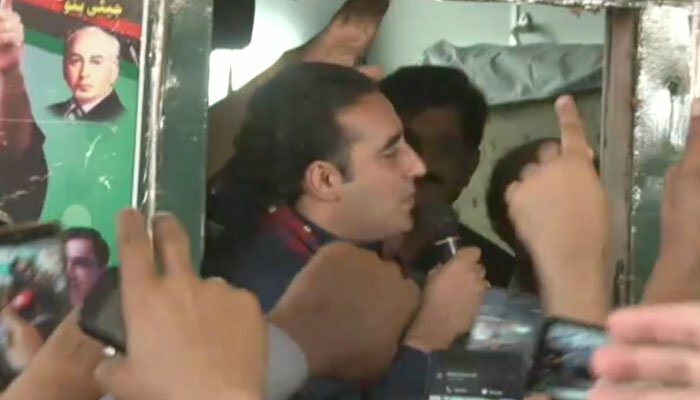 KARACHI: Pakistan Peoples Party Chairman Bilawal Bhutto Zardari reached Karachi’s Cantt Station on Tuesday to lead his party’s train march against the federal government. The march comes ahead of the 40th death anniversary of late former premier and PPP founder Zulfiqar Ali Bhutto. The special train of the Pakistan Railways, titled as “Caravan-e-Bhutto” will depart for Larkana from Karachi’s Cantt Railway Station shortly. The various stops of the train includes Landhi, Kothri, Hyderabad. Shahdad Pur and Nawabshah among others. The train was booked at a cost of approximately Rs1.5 million and includes bogies with a luxury salon, air-conditioned sleepers, kitchen and a meeting room. Two bogies for guards are also part of the caravan. 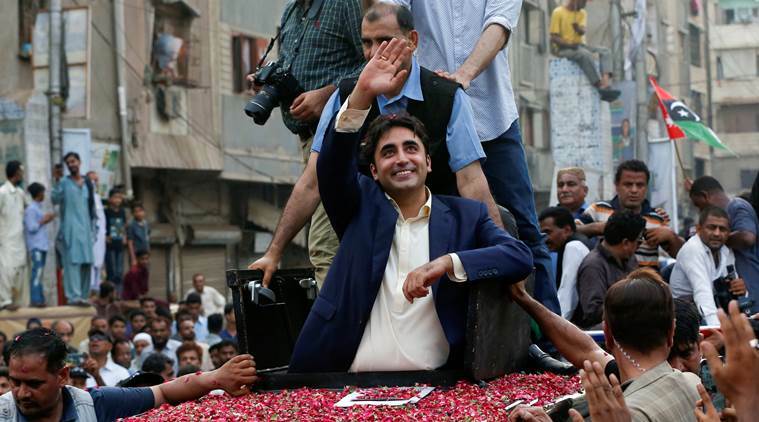 “We will give the world the message the Bhutto is still alive and present for democracy,” he added. The campaign will be in two pahses; first, the train march will begin from Karachi to Larkana while the second phase will likely be carried out in April. In the second phase, the train will go from Rohri to Peshawar.